Next of Kin:Son of Stanley Hunt and of Maggie Hunt (nee Hogg), of Marton, Wellington, New Zealand. Next of Kin: Son of Alfred Sizer Johnson and Louisa Maud Johnson, of Seven Kings, Essex. KIA Information: Known to have crashed in the North Sea, 10km west of Texel. Next of Kin:Son of Henry Lyddon Groom and Jane Groom, of Brockley, London. 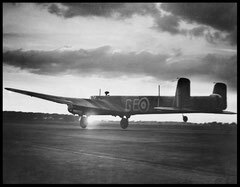 Next of Kin:Son of Patrick J. and Catherine Maroney Lynch, of Syracuse, New York State, U.S.A.
KIA Information: Known to have crashed in the North Sea, 1.5km south west of Petten. Next of Kin: Son of John L. and Elizabeth H. Allan, of Edinburgh. 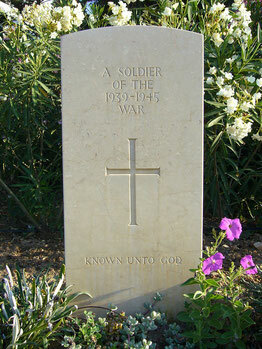 Next of Kin:Son of Frank Arnold Hodges and Eliza Jane Hodges, of Bexleyheath, Kent; husband of Marjorie May Hodges. Next of Kin:Son of Henry and Ruth Roberts; husband of Rebecca Roberts, of Westgate-on-Sea, Kent.